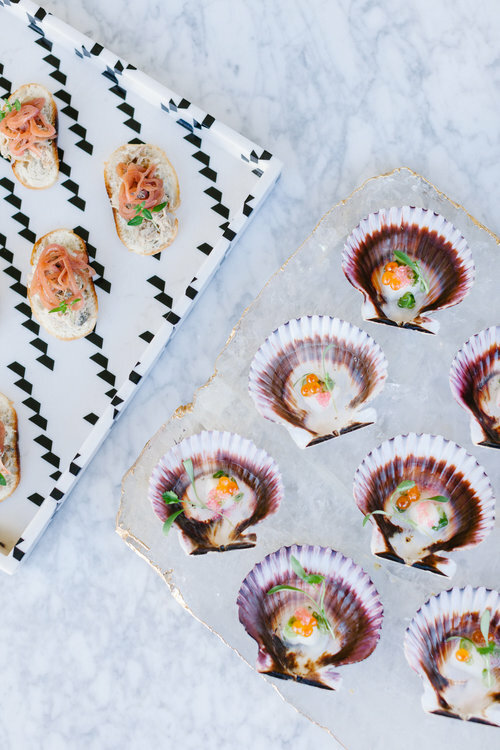 The food might look too good to eat, but we won't tell. 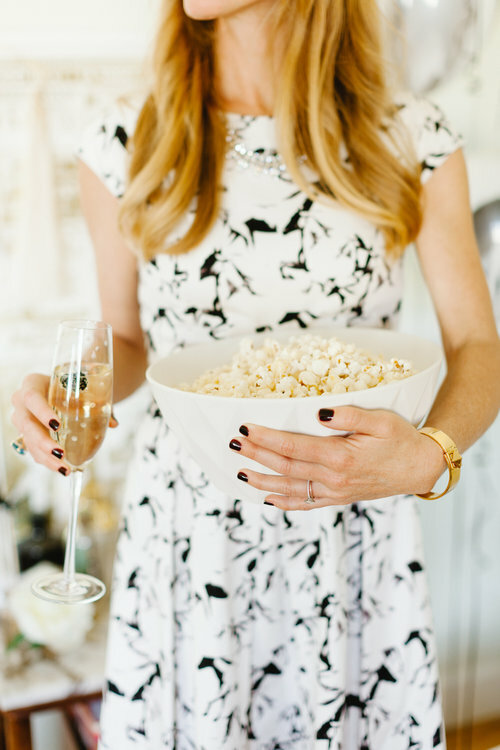 Kate Spade is the absolute epitome of elegance and sophistication, so we were thrilled to be a part of this gorgeous dinner party. 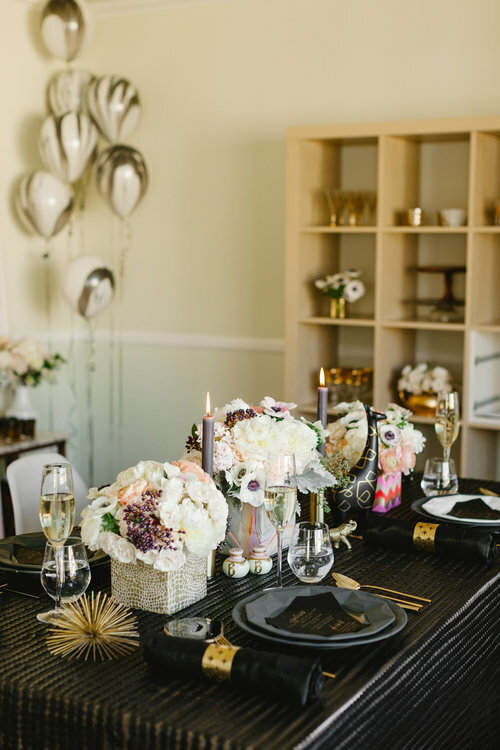 In celebration of their new dinnerware line, we teamed up with 100 Layer Cake to cater this styled shoot to showcase their collection. 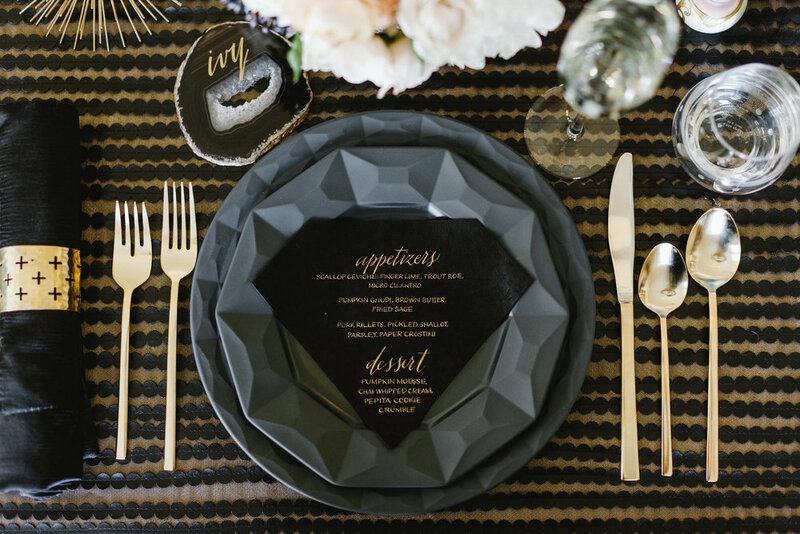 With beautiful black and gold accents, this dinner party is perfectly modern and stylish- fantastic inspiration for trend-setting hostesses and brides!